Millions of people wear contact lenses to help them see clearly. We’ve seen many advancements in lens materials and designs over the years. If you have tried contacts in the past, but stopped due to discomfort or poor quality, it may be time to try again. Dr. Aivazian and Dr. Kochkarian will help select the best option for your eyes! We have a variety of options for your specific type of prescription correction, tear production, lifestyle, and more. 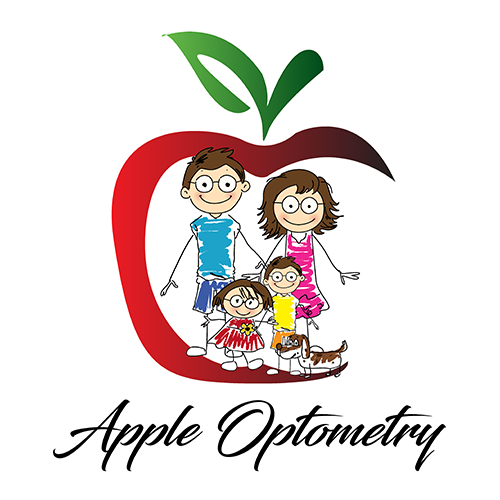 Contact us at Apple Optometry to learn more. Soft contacts are the most common type of contact lenses and account for over 85% of contact lenses dispensed. Traditional soft contact lenses consist of soft plastic polymers and water. They allow oxygen to permeate through the lens material to the cornea. Most people find soft contact lenses comfortable. One advantage of soft contacts is that people assimilate to them almost right away. Soft lenses come in different prescriptions and designs depending on your budget and need. For some prescriptions, they do not offer the same visual acuity as gas permeable lenses or glasses. Dr. Aivazian and Dr. Kochkarian will help you determine which design is best for you.